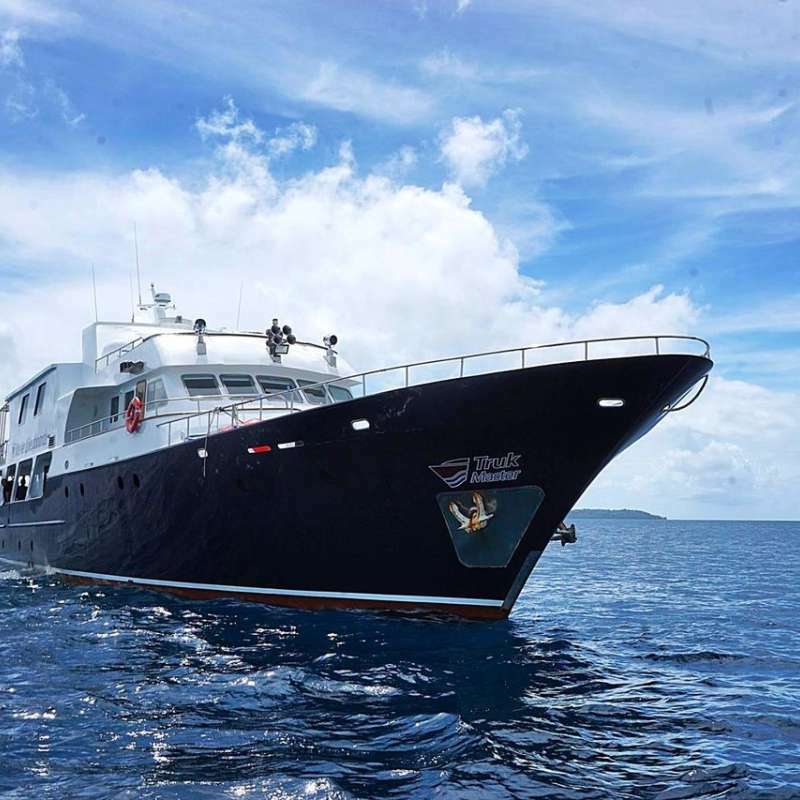 7 or 10 nights Truk Lagoon safaris - can welcome 16 divers per trip. On a typical day we offer up to 4 day dives, however the 4th day dive may be substituted for a night dive when the boat is anchored within the lagoon. A 7 night itinerary provides for between 18-20 dives, whilst during our 10 night itineraries, up to 30 dives will be possible. Many of the wrecks lie within recreational diving depths, however Truk Master also offers Tec diving facilities for those wishing to delve deeper in the wrecks and take a closer look at history. 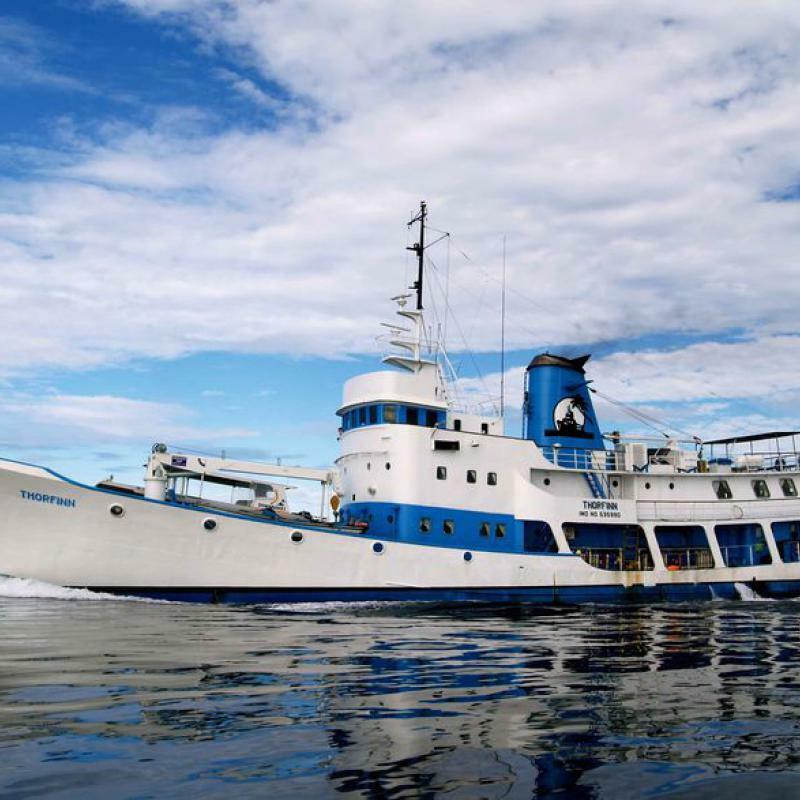 Departing from Weno, our 7-night and 10-night liveaboard dive trips on Truk Master take you directly to the main concentration of wrecks located within the bay. Truk Master will moor over the deeper wrecks allowing an easy descent down the line directly on to the wreck. Technical divers will benefit from the support of the “mother ship”, whilst our 2 skiffs are able to shuttle less experienced divers to the shallower sites and offer reef diving as an alternative to the wrecks. Our 7-night or 10-night itineraries allow you to explore not only many of the famous wrecks but to experience some superb reef diving also. There are numerous channels that cut through the reef which serve as hunting grounds for reef sharks and schooling pelagics which all add to the wonder of diving Truk. The Truk Master embarks and disembarks at Chuuk International Airport (TKK) on Weno Island. Disembarkation at the end of the cruise will be just before 10am. Most flights to Chuuk International Airport (TKK) require transit via Guam, United States. Other possibilities are: via Hawaii or Port Moresby. There are more than 60 wrecks in Truk Lagoon, however some of the signature sites lay beyond entry level depth limitations (18m / 60ft). Advanced level is recommended and for some wrecks deep diver (40m+) or tec-diving qualifications may be required. 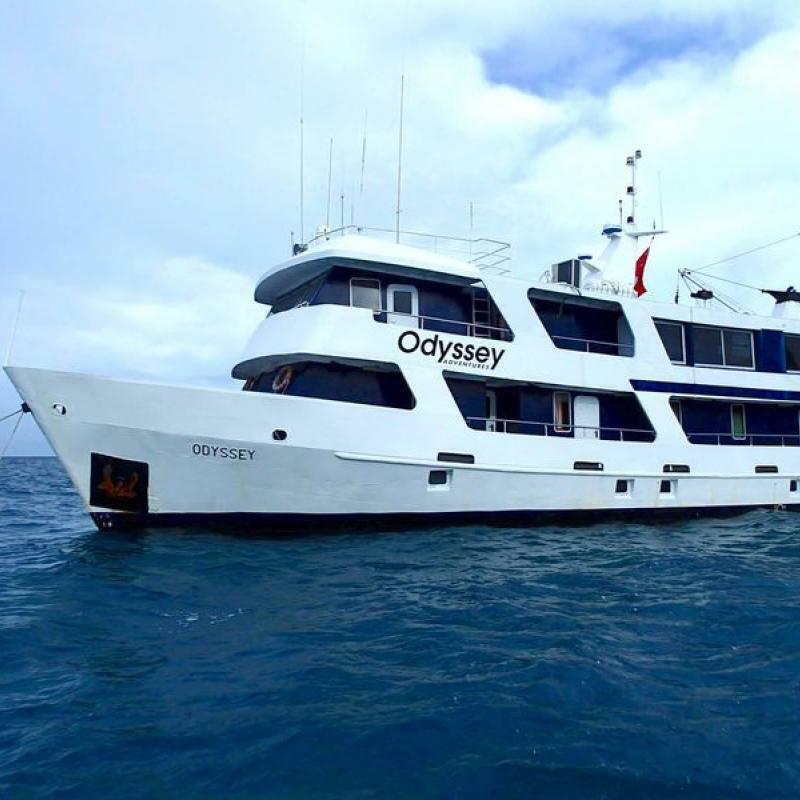 10 & 11 nights Bikini safaris - Limited to 11 divers per trip. 13 & 14 nights Bikini + Marshall Islands safaris - Limited to 11 divers per trip. As most wrecks at Bikini Atoll are beyond recreational depth limits, this itinerary is recommended only for technical divers with previous wreck experience. (Minimum of PADI Tec 50 level or equivalent, as the average depth of the wrecks is around 50 meters). Please also note that unguided wreck penetration is NOT allowed. Our itinerary is built around the United Airlines flight from Honolulu, Hawaii that serves both Kwajalein and Majuro. Depending on your itinerary, we highly recommend you use this flight to get to and from Kwajalein and/or Majuro. A representative from Master Liveaboards will meet you at your arrival airport and will accompany you to the Truk Master. Please ensure you have a printed copy of the Master Liveaboards Sponsor Letter on hand when arriving in Kwajalein.